Website security is a crucial element of proper web management. Many people do not give security much thought – “who would want to break into my website?” is a common belief – but there are benefits in gaining access to any and every website imaginable. Maybe a group of would-be hackers wants to collect and compromise a series of identities. Perhaps they want to install covert ads for their online ad programs and generate revenue. Whatever the reason, you should take this seriously: search engines definitely do, and you don’t want a lack of security to harm your SEO potential. Today, we’ll go through a quick list of concerns for establishing a secure website. Above all else, you want to be sure that your personal and work computers and devices are secure. A surprising number of websites are compromised because one or more admins’ personal devices were compromised, giving would-be intruders access to their credentials. You want to install a credible anti-virus solution on each applicable device, utilize strong and complex passwords for all accounts, and limit other people’s access to your devices whenever possible. This can help cut off at the source any potential intrusions through casual mistakes and missteps. When selecting a hosting provider, your top concern shouldn’t be cost. There are numerous things to consider when selecting a hosting provider, but security should be a top concern. You’ll want to verify that they provide regular backups, use secure code such as PHP, and otherwise provide security solutions to end-users that will further improve website integrity. Some of the more “affordable” hosting solutions fall short in one or more of these areas; avoid them at all costs. WordPress is a very intuitive system and it is quite easy for it to begin pinging servers with a variety of added security functions, but your admin panel could still be vulnerable without inspection. You’ll want to select a carefully-crafted username and password, update your WordPress to the latest version as soon as it’s available (many hosting providers allow you to configure automatic updates), disable any potential editing of core WordPress files by would-be hackers, and always perform manual back-ups – even if your hosting provider offers them. This can help ensure that unwanted access is limited in the first place, and will also make it easier to recover from an attack. When hackers begin pinging servers for vulnerabilities, they often start with easy exploits. This doesn’t mean that they won’t move on to more difficult exploits, so knowing what to secure in this regard is important. If you are hosting multiple websites on one hosting plan, then it’s recommended that you create a different database for each one. Always use secure FTP to access your website instead of FTP, as this will encrypt your credentials. Be sure that your wp-config.php file is configured to not allow outside access to other, higher-level parts of your domain. Last but not least, always verify that your hosting credentials are secure, complex and not related to the brand. 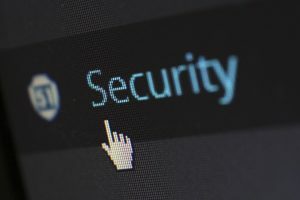 What steps have you taken to improve WordPress security in the past? Has your website ever been compromised by hackers, malware or some other threat? If so, tell us about your experience below and describe what you did to fix the problem.